Silvia Vignolini is a Reader in the field of bio-inspired optics in the Department of Chemistry at the University of Cambridge. She received her Ph.D. in 2009 from the University of Florence and in 2010, she moved to Cambridge as a post-doctoral research associate working in the Cavendish Laboratory and the Plant Science Department. In 2013, she started her independent research becoming a BBSRC David Philip Fellow. Her research interest lies at the interface of chemistry, soft-matter physics, optics, and biology. In particular, her research focuses on the study of how natural materials (such as cellulose) are assembled into complex architectures within living organisms and how these architectures define the organism`s optical appearance. Her approach to fabricate novel optical materials is unique in the field of bio-mimetic and photonics. 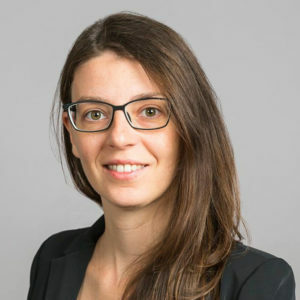 Grounded on her multidisciplinary background, Dr. Vignolini uses optics to understand the assembly of naturally occurring photonic structures and she applies those concepts to fabricate novel bio-inspired sustainable materials. To date, she has published more than 80 articles, and 5 patents with over 1857 citations.